On November 10, 1969, Sesame Street aired for the first time. 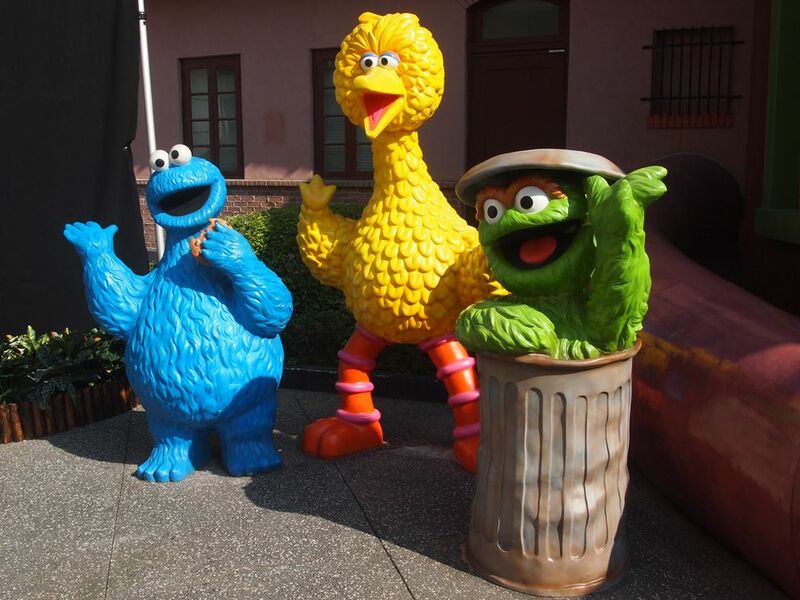 Three of Sesame Street's most popular superstars are Cookie Monster, Big Bird, and Oscar the Grouch. Photograph by Walter Lim, courtesy Wikimedia. This file is licensed under the Creative Commons Attribution 2.0 Generic license. On November 10, 1969, Sesame Street aired for the first time. Using a combination of animation, puppets, and live actors, Sesame Street aims to stimulate children’s minds. The show teaches letter- and word-recognition, basic math, and problem-solving. It also helps children learn about safety, personal hygiene, healthy eating, and social skills. For more than 40 years, the adventures of Big Bird, Oscar the Grouch, Cookie Monster, and their human friends have been delighting children, parents, and television critics. The show is not just entertainment—Sesame Street is driven by research reflecting changes in children’s lifestyles, culture, and society. performance or material produced to interest and amuse.